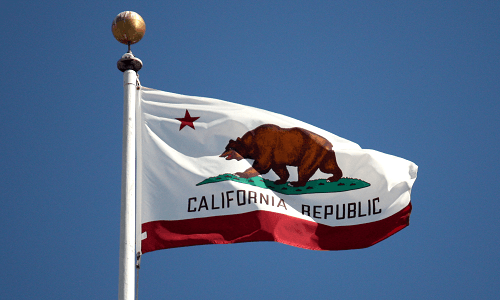 California’s attorney general’s office has approved a citizen-filed initiative that aims to put the legalization of sports betting on a future state-wide ballot. The effort, spearheaded by a Sacramento-based lobbyist with apparent ties to California’s card-room industry, must collect nearly 600,000 signatures by early 2019 to be eligible for placement on the 2020 ballot. News of the legalization first emerged in June, when political consultant Russell Lowery submitted the paperwork for the initiative to the California AG’s office, but it was just this week that Lowery and his Competitive Edge Advantage consultancy, based in the state’s capital, received the AG’s approval. Lowery and the forces behind the initiative, who have not been disclosed publicly, would have to collect the signatures of 585,407 registered voters by February 2019 to put a referendum on the state’s November 2020 ballot. Allows federally recognized Native American tribes to operate roulette and craps games on tribal lands, subject to compacts negotiated by the Governor and ratified by the Legislature. Allows licensed gambling establishments, such as card rooms, to conduct on-site sports wagering and to operate Nevada-style card games, and may result in authorization of sports wagering on tribal lands because of federal law. Prohibits Governor from approving gaming on newly acquired off-reservation tribal lands and negotiating gaming compacts with non-federally recognized tribes. The key elements here are the attempt to allow “licensed gaming establishments, such as card rooms” to offer sports betting, plus the restriction on off-reservation land being used for building tribal casinos by non-federally-recognizing tribes. If it sounds like this is part of a turf war, well, it is. And it’s perhaps an attempt to perform an end-around against the legislative blockade against gambling expansion in California, engineered by the Pechanga Band of Luiseno Indians and a small coalition of hardline tribal nations — the same coalition that has blocked online-poker legalization in California for a decade. News of the Pechanga faction’s opposition came via the LA Times and their Sacramento beat writer, Patrick McGreevy, who’s been a water-carrier for Pechanga interests before. It comes as little surprise that McGreevy’s story about the sports-betting initiative being approved to collect signatures actually spends more time getting opposition quotes from the Pechanga faction than it does exploring the issues. 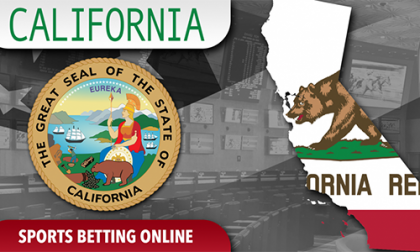 Of course, one might think that it’s the state’s pari-mutuel facilities that ought to have first dibs on any legalized sports betting in California, but political power being what it is, that’s not how things are likely to shake out. McGreevy’s piece casts aspersions on the unnamed “in-state and out-of-state gaming firms” that Lowery stated have expressed interest in the measure. That the Pechanga faction is quick to demonize, via McGreevy, may well be exactly why Lowery and his unnamed backers have gone the public-initiative route, just to avoid the legislative gridlock that doomed the prior online-poker efforts. It’s unlikely that Lowery’s effort to obtain those 585,000 signatures can succeed without some major signature drives taken place, and that’s probably going to mean that one or more of the presumed card rooms behind the effort will have to step forward with manpower and resource help. Meanwhile, Lowery has created a Twitter presence for his Californians for Sports Betting (@CAsportsbets). We’ll see what comes of it, even as the same old battle lines are being redrawn.